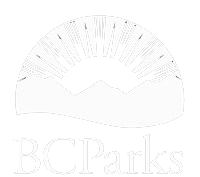 The 2019 edition of the Go Camping BC Guide is now available at BC Visitor Information Centres, BC Provincial Parks and select RV rental companies. We invite you to pick up your free copy and start planning and preparing for your next camping trip. Get ready to step further into nature and explore the endless possibilities that reside right outside our backyard. From impressive mountain ranges to glistening lakes and lush, green forests, we invite you to find a park that calls to you!